Stronger together. 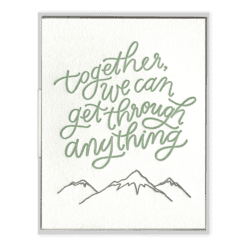 This hand-lettered letterpress card emphasizes that you can move mountains with someone by your side. What better way to let someone know you’ve got their back and that you’re fighting for them (and with them)?